"Here is the book that Romeo would have given Juliet; Charlie Brown would have given Snoopy; and you can give to some very special friend" proclaims the back cover of this small, whimsical book. 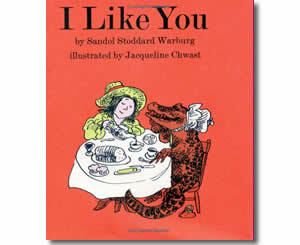 Written in 1965 by Sandol Stoddard Warburg, it still makes the perfect present for your best friend. Not just any run-of-the-mill best friend, though. This book is for the kind of friend who yells for you when you get lost in Grand Central Station or pretends to save you when you pretend to be drowning.